MADE IN THE USA: Single 1mm thick sheet installs quickly on top of existing flat build platforms (e.g. borosilicate glass) using the 3M 468MP adhesive transfer tape. High strength and heat resistance (up to 340° F) allows the polymer to perform consistently in high temperature environments. 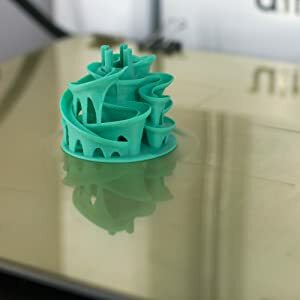 When used in a 3D printing application, PEI is excellent because it can withstand the numerous heat cycles that a 3D print bed goes through from print to print. 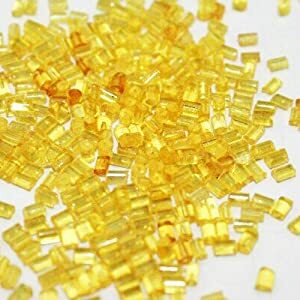 Polyetherimide has a natural Amber(yellow-orange) color and comes in different grades. Ultem 1000 is the standard, unfilled grade. It is inherently flame resistant and low in smoke production. Best practices for 3D printing is to have a build platform that is level and flat. Many manufacturers cut their PEI sheets from larger rolls. This causes the sheets to have a bow and curve to them, which isn’t ideal for printing. Gizmo Dorks PEI is cut from large flat sheets of PEI, this allows for the dimensional sheets to be table top flat. The best method to attach the sheet to a 3D print bed is to use 3M 468MP adhesive transfer tape. Included are the full size sheet and 1-inch strips which will both work. The adhesive is heat resistant and provides a strong bond. This method provides the most level print surface. The other method is to use small binder clips (2 per side minimum). This method provides the flexibility to remove the print bed. Be aware that there is protective film on both sides of the PEI sheet. These need to be removed prior to use. Film is colored blue for your convenience. PEI can be cut down to size by scoring with a blade. Wipe down the surface with isopropyl alcohol, methyl alcohol, or soap between prints to have a clean surface. Light sanding with 2000 grit sand paper will also give the PEI sheet more life. For certain plastics, including ABS and PLA, a heated bed is required. The quality material and worksmanship that goes into our products is first-rate. If you are not completely satisfied, let us know so that we can make it right.